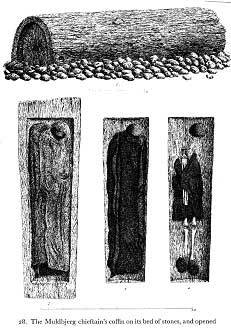 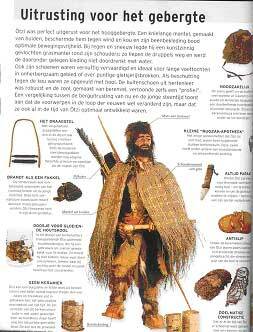 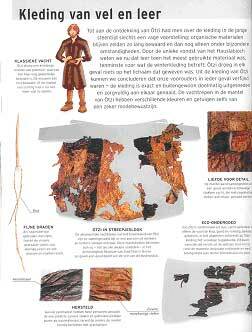 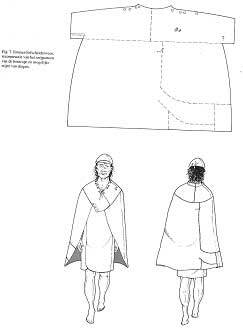 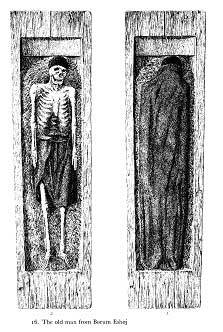 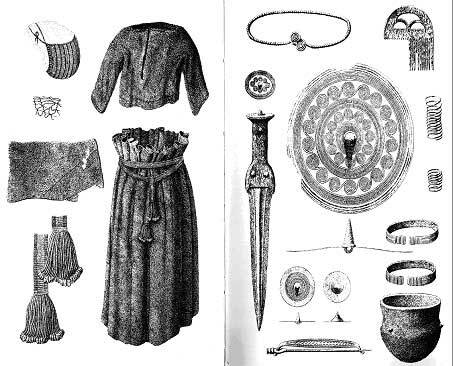 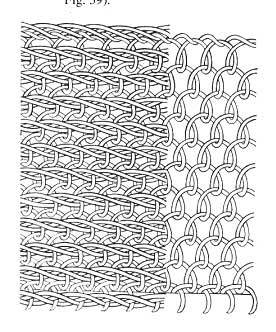 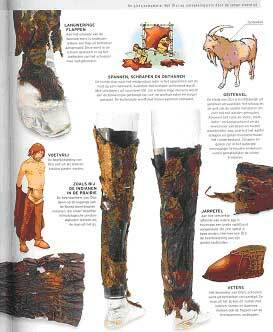 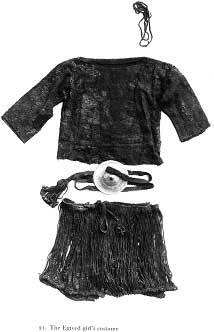 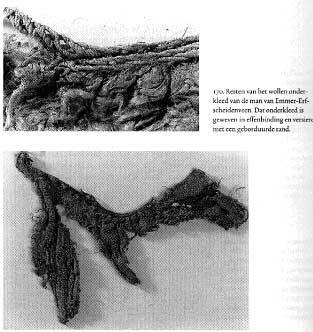 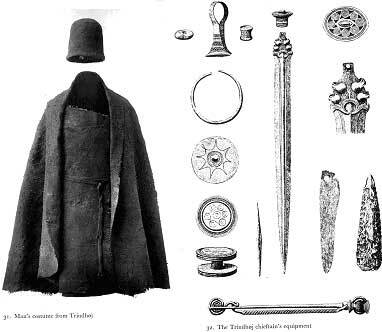 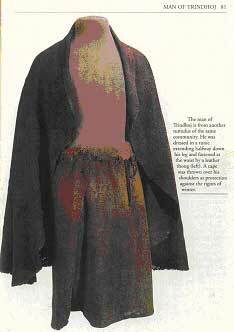 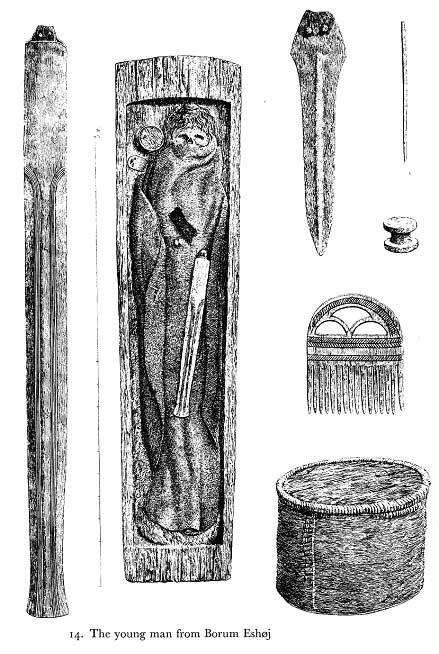 Bronze Age cloth and clothing can be identified from various fragments preserved in weird ways and from some other ways. 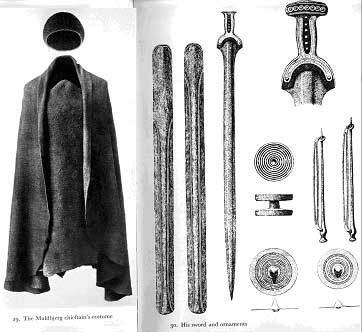 Here are some images used for research. 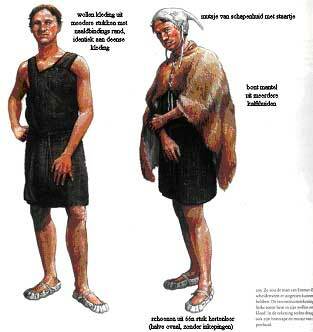 Painting of above clothing, note sheepskin cap complete with tail!